With the touch of a button, a new machine coming to Calgary's new Central Library will tell you a story. With the touch of a button, a machine coming to Calgary's new Central Library will tell you a story. 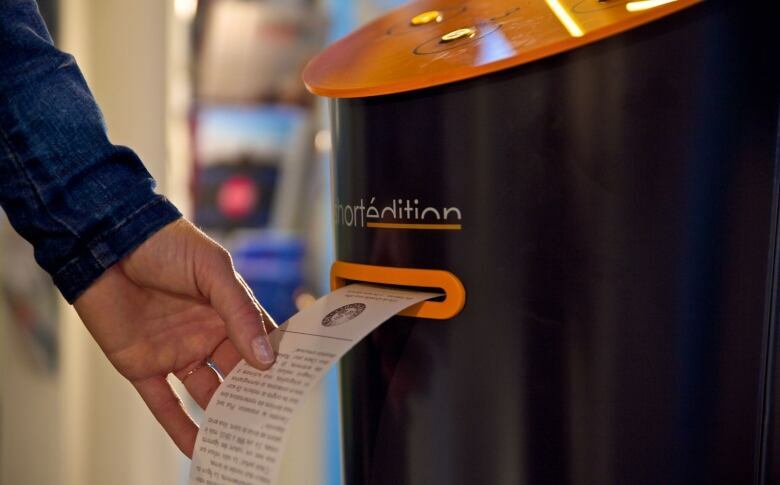 The short story dispenser was originally conceived in 2011 by a French publisher, Short Édition, which wanted to blend old-fashioned storytelling with modern technology. 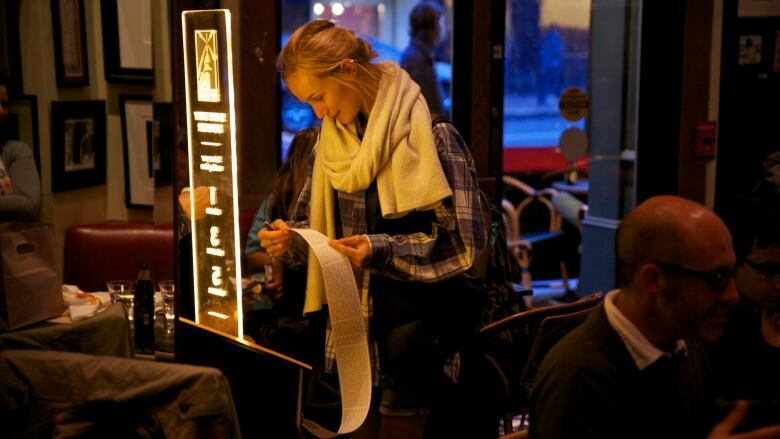 The one-metre high machine has three buttons that offer one-, three- and five-minute stories, which unfurl from the printing slot below so you can take the story with you. Rosemary Griebel, the Calgary Public Library's service design lead for readers, spearheaded bringing the machine to Calgary. And she wants to fill it with local stories. "It's the most basic, creative act for humans, is sharing stories, telling stories, and everybody has a story to tell," she told the The Homestretch on Wednesday. "We want really compelling stories, family-oriented, so they can be funny, they can be scary but they have to fit within the character guidelines as well." Stories can be either short fiction or poetry that must be original and not already published. Story length can range from 2,600 characters for one-minutes stories to 8,000 characters for five minutes stories. Writers are not paid for the work unless Short Édition chooses it for international rotation. Griebel said the library is always looking for ways to promote storytelling and writing. She's hoping the machine will attract a diverse pool of writers. "It has to engage or make some kind of emotional connection, whether that's fear, sympathy, but also, it has to have some kind of either conflict or transformation within it," she said. Since the library put the call out for stories on Monday, Griebel said they have already had 20 submissions and 2,000 have viewed the submission site. The library is still looking to determine exactly where it will put the machine, but Griebel said they want it near Lukes café, where families can come and grab a coffee or ice cream and share a story. To submit a story, or ask a short story dispenser-related question, email loftonetwelve@gmail.com, with "short story dispenser" in the subject line.